PubTyper is an extension for Adobe InDesign that provides the ability to merge files of different formats into one single InDesign document. It ensures convenient compilation of a perfect, high-quality, printable-ready document with common styles. Being a useful digital publishing solution, PubTyper speeds up the process of file compilation, editing and publishing. 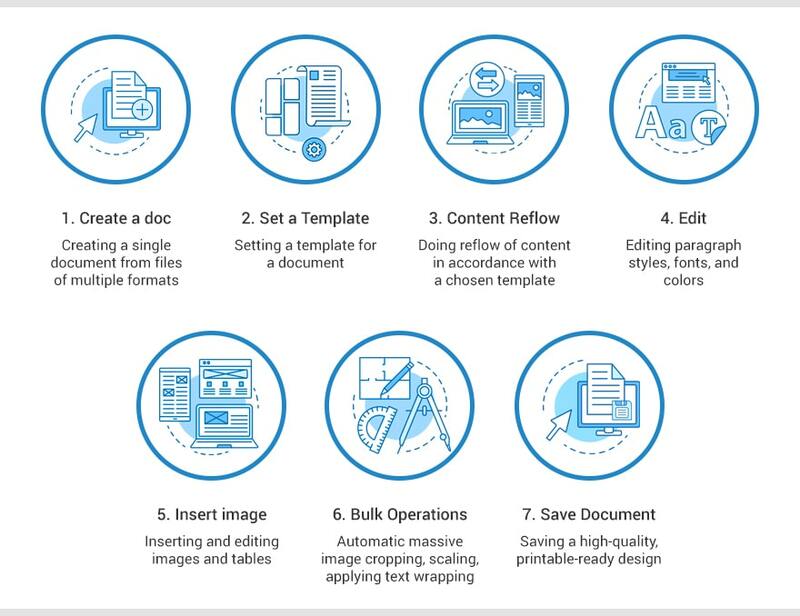 It provides the ability to use bulk operations, do a reflow of content in accordance with a chosen template, detect a text style by its overrides and replace them when needed, and other. PubTyper can be used in a vast majority of areas by different specialists for various purposes: to compose textbooks from learning courses, books, additional materials or notes, corporate booklets and brochures, product catalogs, etc. PubTyper is an extension for Adobe InDesign to facilitate the process of compiling a document from files of different formats. The Adobe extension is free of charge software: you can redistribute and/or modify it under the terms of the GNU General Public License as published by the Free Software Foundation, either version 2 of the License http://www.gnu.org/licenses/gpl.html or, at your option, any later version. Since PubTyper is an easy-customizable solution, you can request any specific features to be developed or we can create a similar solution upon your needs.